Luc Bohunicky, the vice president of business development at Ukko Robotics, knows how hard it is to operate a startup without financial backing and a support system. Ukko Robotics was operating out of a garage in the boonies until a loan from Futurpreneur Canada allowed it to move into a warehouse in the heart of Winnipeg’s business centre. This not only provided Ukko Robotics with a much more feasible workspace, but also allowed it to gain much easier access to the resources it required, and added legitimacy to the company, said Bohunicky. Ukko Robotics is a technology firm based out of the Winnipeg that specializes in the design and development of agricultural technology that facilitates autonomous and energy-efficient farming equipment. Its biggest innovation is the Rova; a self-sustaining, self-moving, mobile-monitored chicken barns. By using the app, you can not only have a live video feed of your barn but also monitor essential metrics (like weather reports and feed levels) and even map out where you would like your barn to move to. 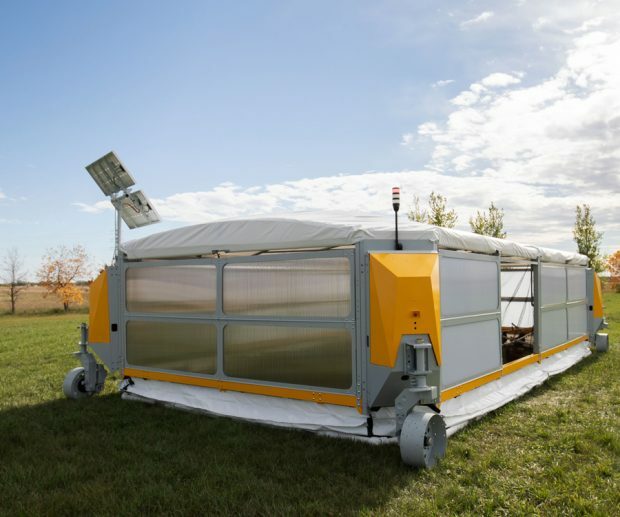 The Rova, a self-moving, self-sustaining, mobile-monitored chicken barn by Ukko Robotics. Image courtesy of North Forge. Futurpreneur, which was established in 1996, supports entrepreneurs between the ages of 18 and 39 by providing low-interest loans, mentorship opportunities, and vast networking options. 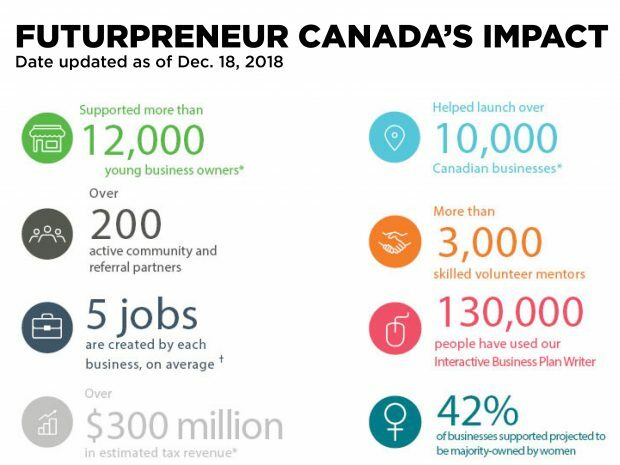 It has supported over 12,000 young entrepreneurs and helped facilitate the creation of 10,000 businesses, as of Dec. 1, 2018. The 2019 federal budget earmarked $38 million dollars over the next five years for the continued support of entrepreneurs in Canada through the not-for-profit organization. Infographic provided by Futurpreneur Canada. Despite Canada being ranked as the third best country for entrepreneurship, according to Statistics from StartUpBlink, Karen Greve Young, the chief executive officer for Futurpreneur, says that if Canada wants to achieve its economic goals, continuing to push the entrepreneurship agenda further by creating opportunities for young innovators to thrive is essential. In fact, according to stats from Industry Canada, 77 per cent of private jobs in Canada are created through small businesses. Futurpreneur has partnered with many tech startups, including Winnipeg-based food delivery app Skip The Dishes, and Young says that technology entrepreneurship can be especially impactful, not only within Canada but also on a global scale. The benefits of a partnership with Futurpreneur extend far beyond the financial impact of a low-interest loan; as they also provide extensive mentorship and networking connections. This continued support for entrepreneurs is especially valuable, as no matter the financial backing, many startups can fail without a proper support system in place. According to stats from Industry Canada, 150,000 small businesses are established in Canada each year, but only 51 per cent of those same businesses will survive longer than five years. For some, including JP Desjardins, the founder of Montreal-based social display firm The Wallrus and Montreal-based digital marketing firm Orangerine, the greatest value lies with the mentorship and networking opportunities. For Desjardins, it does not matter what you are selling if you cannot get that product or service in front of the right people, something Futurpreneur provided for him. “It’s extremely valuable, because in the end, whatever you sell, being able to get into a meeting with those companies that might need your product…it’s a very big lever to help you succeed and grow your company,” said Desjardins. Staff writer for IT World Canada. Covering the world of technology as it applies to business. Buckley is an avid sports fan who loves travel, food, and music.